Lock in a great price for The Painswick - rated 9.6 by recent guests. The Painswick is a true gem. Wonderful restful night in a beautiful place. Stunning luxurious rooms, well appointed. Excellent food. Genuine 5 star luxury! The place is beautiful, and tastefully decorated. All the little touches were lovely, especially the printed off walks, spare wellies, treats in the room. The fires in both lounges were lit from the morning and the whole place was lovely and cosy. The staff were great, and the treatments we had were fantastic - the massages were some of the best I have had, I am still feeling the effects. The breakfasts were great, with a good range of options, and the dinners were good - we appreciated the provision of the pescatarian menu. The cream tea was lovely. Beautiful hotel with stunning rooms. Delicious food and a great overall impression. 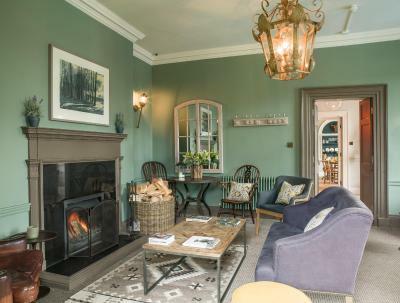 This amazing, historic hotel is in a perfect spot to take in the beautiful Cotswolds. Friendly and helpful staff as well. We loved it. 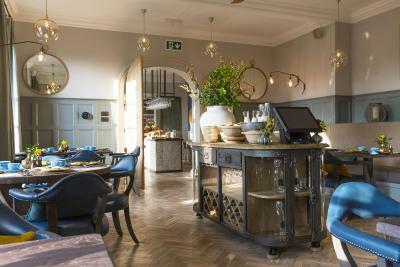 Overlooking the Slad Valley, The Painswick offers accommodation in the village of Painswick, in the Gloucestershire Region. Guests can enjoy the on-site restaurant. The hotel offers free WiFi and free on-site parking. The Painswick has been welcoming Booking.com guests since 22 Aug 2008. Situated in the eaves of the garden wing, these rooms boast a window overlooking the garden and the Slad Valley beyond. Guests will also benefit from a 6-foot double bed. These ground-floor rooms are situated in the garden wing and come with king-size or twin beds. Guests will also benefit from views of the garden and the Slad Valley beyond. A bath and shower are also provided. Situated on the first floor of the main house, this deluxe suite features a 6' 4" four-poster bed, separate living area with log burner and a Juliet balcony with scenic views over the Slad valley beyond. A roll-top bath and shower are also provided. House rules The Painswick takes special requests - add in the next step!